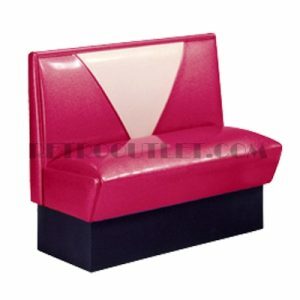 The Malibu Diner Booth (Model MB-4300) represents a fully upholstered booth of classic design, featuring a pre-pleated contrasting back insert in your choice of standard or designer vinyls. We have seen this beautiful design upholstered in a variety of colors. All are beautiful. What is your color theme for your home? 24″D x 60″W x 36″H (6 person seating) – Order Table Size: 3″x60″ (Table Length requires 2 bases). 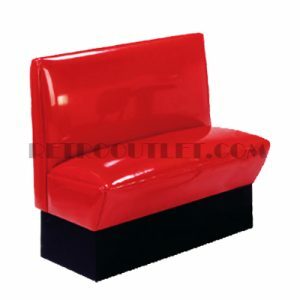 Please allow 4-5 weeks for production of the Malibu Diner Booth in your choice of colors.